Lyon Playfair, Scottish chemist and politician, 1877. Playfair (1818-1898) studied chemistry at Glasgow under Thomas Graham, and under Liebig at Giessen. Professor of chemistry at Edinburgh University from 1858-1896, he discovered the nitroprusside class of salts. Playfair was appointed chemist to the Geological Survey in 1846 and was elected a Fellow of the Royal Society 1848. He was engaged in the organisation of the Great Exhibition of 1851. 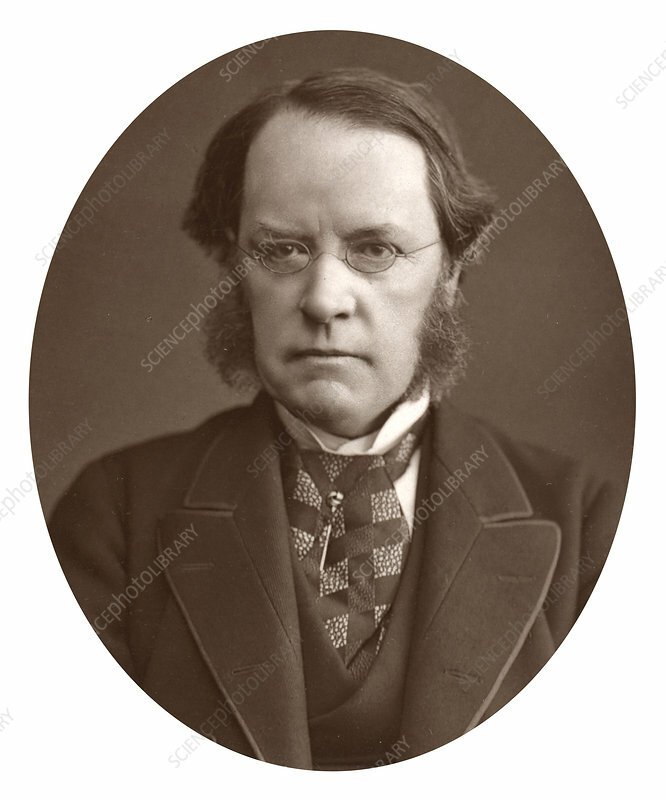 Liberal MP for the universities of Glasgow and Edinburgh from 1868-1885, Playfair served as Secretary of State for Science and Art in 1855 and was Deputy Speaker of the House of Commons from 1880-1883. He was knighted in 1883 and was created a Baron in 1892. From Men of Mark by Thompson Cooper. Artist: Lock & Whitfield.